Are you a 3-D movie maniac? If the answer is YES, then this selected tutorial will definitely delight you! 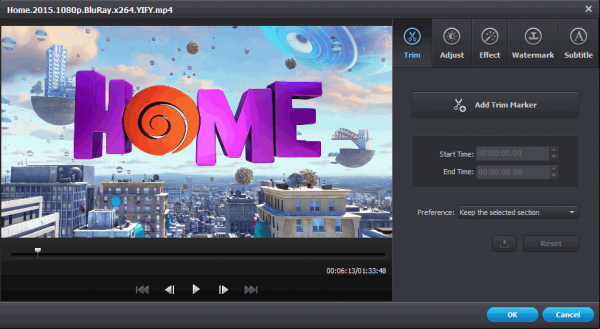 In this guide, we will show you an easy way to convert a normal video file to 3D video format for your entertainment. 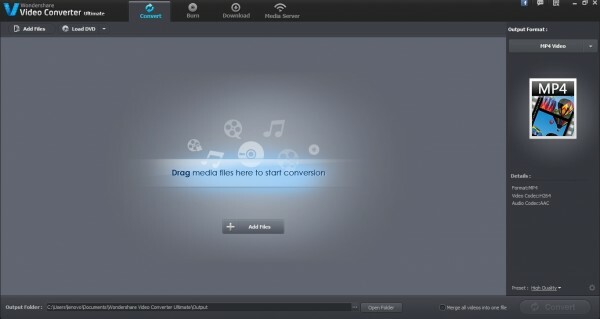 To follow this guide, you need to have Wondershare Video Converter Ultimate installed on your PC. Very simple! Just click on either below download buttons to get the program. Want to know more about this program? You can read full review here. Note: A lifetime license for Wondershare Video Converter Ultimate costs $49.95. But you can buy with 60% OFF by Wondershare Video Converter coupon code from Wondershare coupon page or download free trial above (The trial version is functionally the same as the paid version except there is a watermark in the new output files.). How to watch 3D video? On the right pane you can choose Output format for the video. Click on the down arrow (1) >> Select 3D category in Format tab. There are plenty of 3D video formats that you can pick from here, such as 3D AVI, 3D WMV, 3D MP4, 3D MKV, and Youtube 3D. 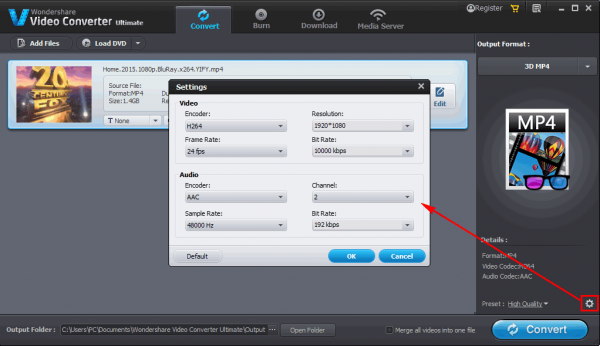 Click Settings button to adjust output video settings (Encoder, Resolutions, Frame Rate, Bit Rate) as you wish >> OK.
That’s all! Wait until the process is done and you can get the new video file in the location folder. Put your 3D glasses on and get ready to thrill with your movie list! 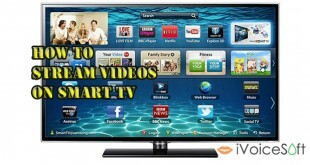 3D compatible laptops and TV are widely available now days. In case you don’t have a 3D compatible device yet but you want to watch a 3D video, you can use the ANAGLYPH method. You will need to set up a few things first if you are planning to use ANAGLYPH method for viewing your 3D video. A complete detail of this method is easily available on the internet.